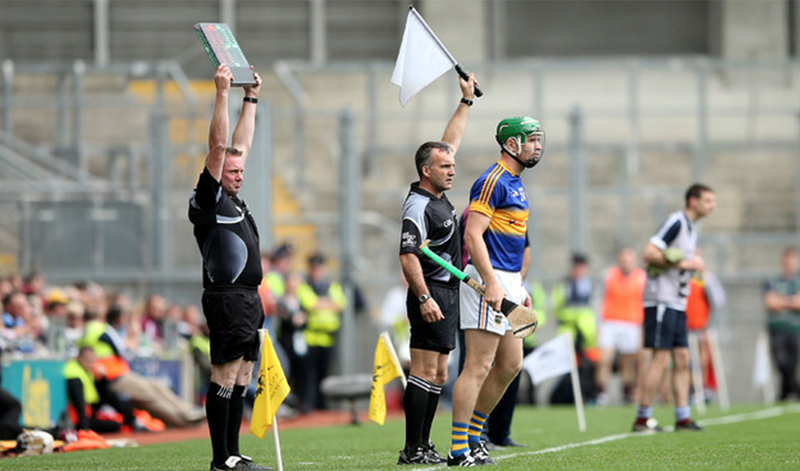 Referee equipment such as Substitution Boards & Sideline Official Flags for GAA & Soccer. 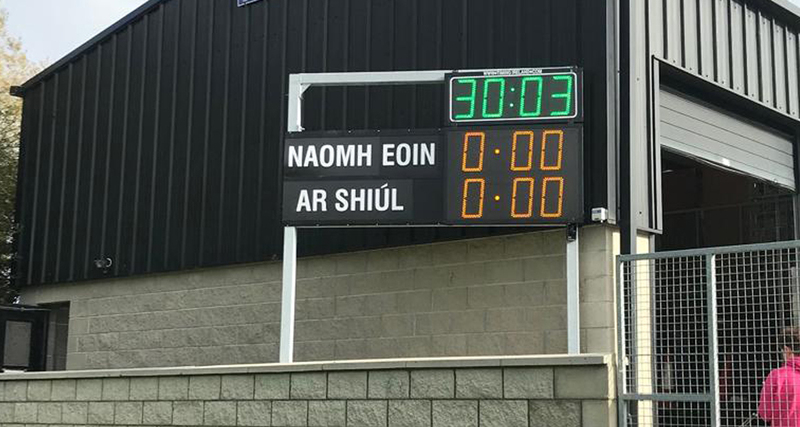 Wide range of LED GAA Scoreboards to suit any club level. Low cost models available. 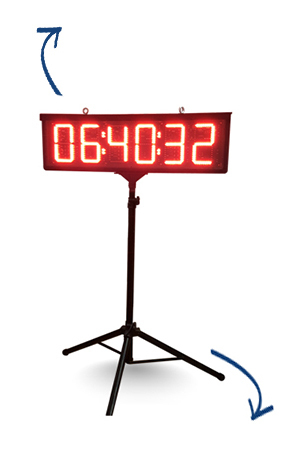 LED Tripod Clock available for hire to suit all athletic events including Fun Runs, Marathons, Triathlons & more. 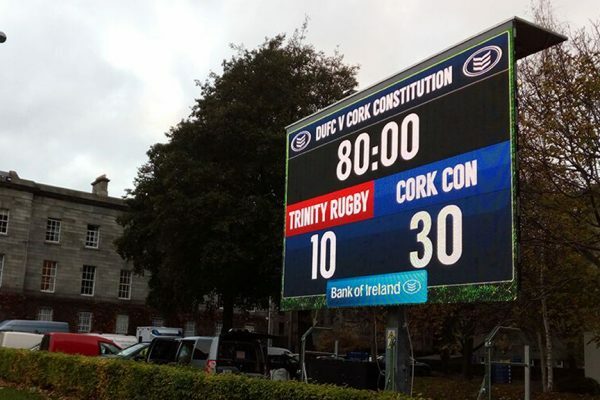 Wide range of LED Basketball Scoreboards to suit any club level. Shot Clocks also available. 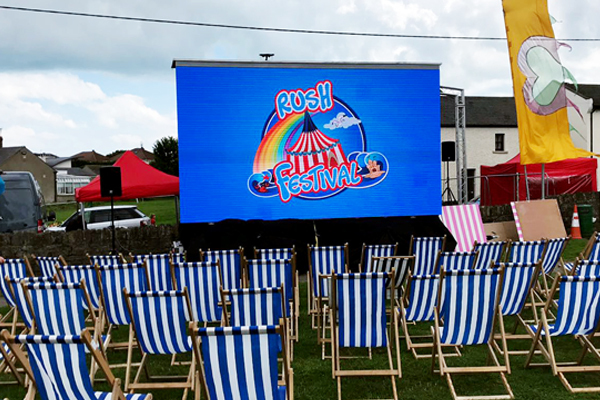 Large LED Screen for hire for events such as; Outdoor Cinemas, Event Fanzones, Concerts & Festivals & more. Timing Ireland was founded by Brian Price in 1982 under the name of “Race Management Ltd”. 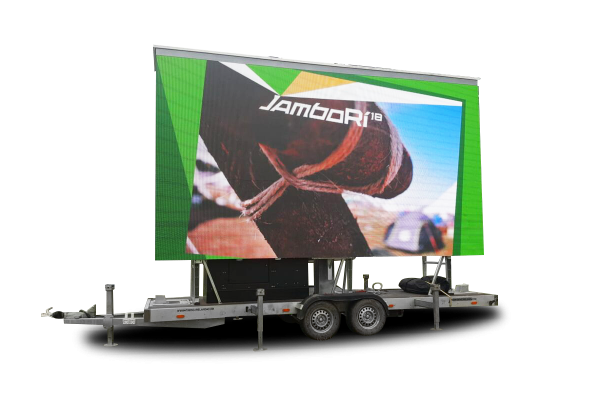 The company was formed to provide Sports management services and also Electronic precision timing services to athletic events. 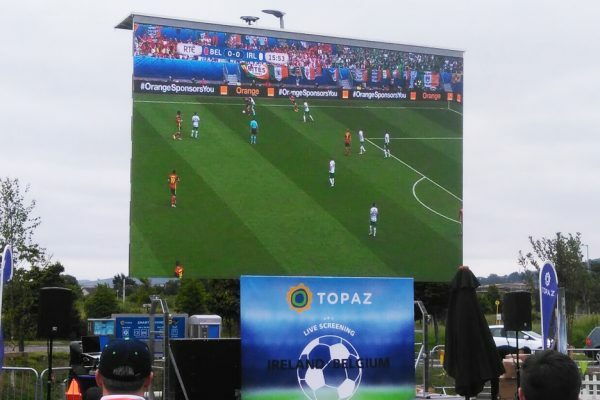 It was not long before other sporting associations such as Basketball, Triathlons, Showjumping, became interested what Timing Ireland had to offer. 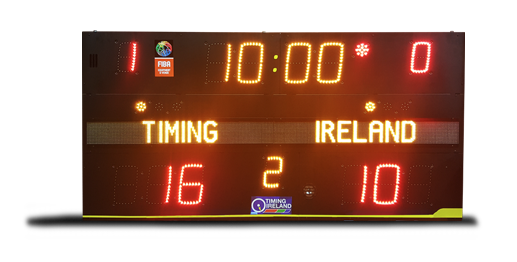 Specialists in electronic timing, Timing Ireland began to supply services to other sporting associations where scorekeeping was involved. 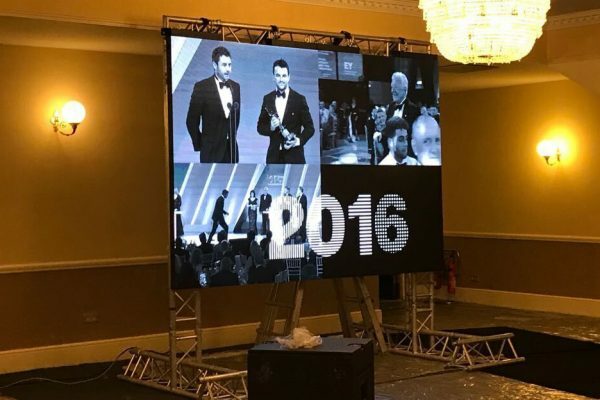 Therefore marking a radical change in the direction for the company. 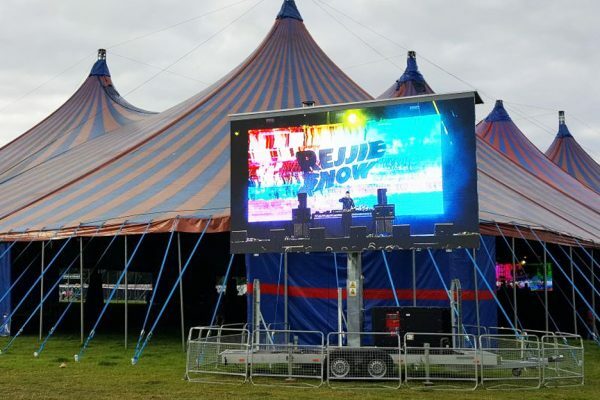 LED Countdown Clocks for hire for promotional events. 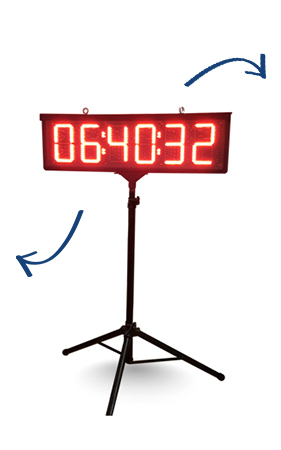 Clocks can count up or down and includes simple handheld controller. 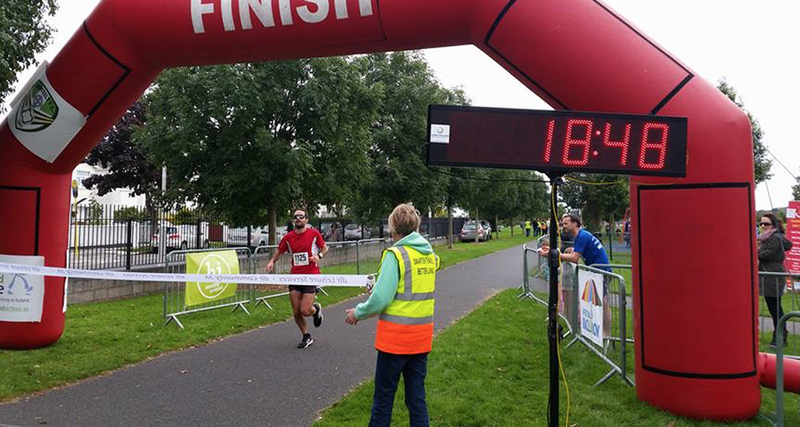 LED Race Clock available for hire for road races. Includes sturdy tripod & portable battery for use outdoors. 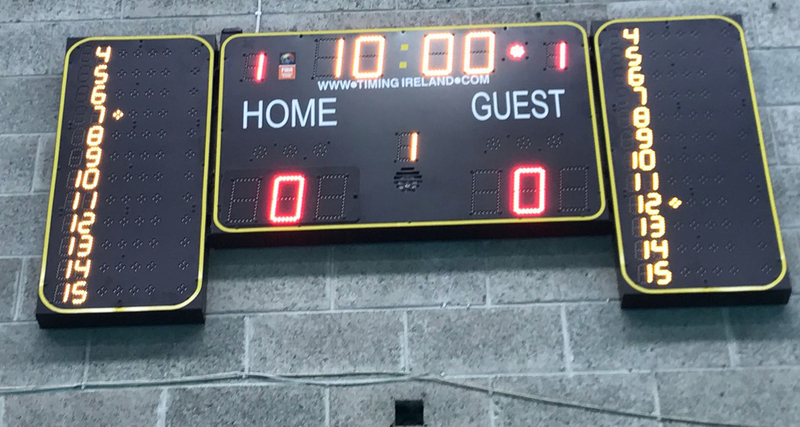 Wide range of LED GAA Scoreboards with ultra-bright scoring digits, count up / down game clock and optional type in team names. All our scoreboards come with a 2 year parts & labour guarantee. 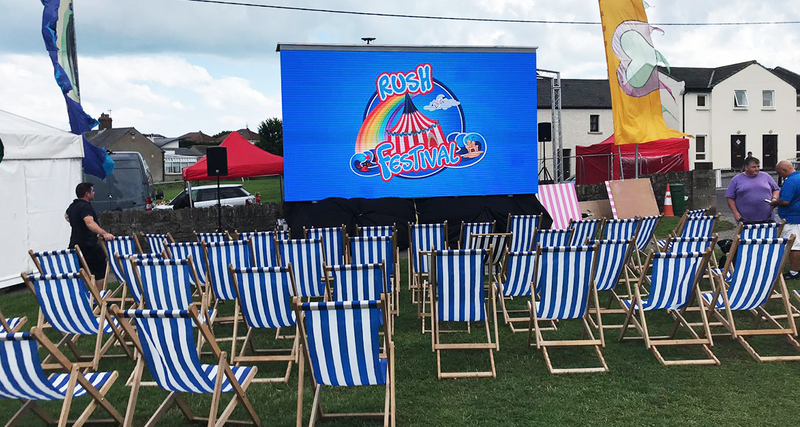 Timing Ireland offers Frontrow’s acclaimed Juno Speaker System, which allows the teachers voice to reach the back of the classroom without having to strain their voice. Try our 14 Day Free Trial! 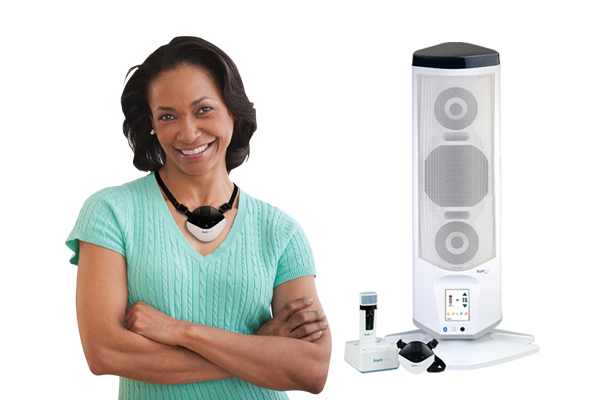 Timing Ireland offers a Frontrow demo speaker for free, for your classroom to experience the benefits of the Juno Speaker System. Book your 14 day free trial today and see how the system can improve your classroom. Wide range of basketball equipment available such as basketball scoreboards, shot clocks, backstops & more. 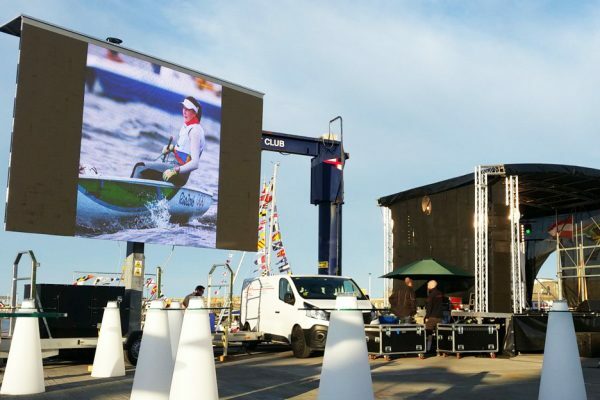 Big LED Screen Hire for all events including: Cinemas, Festivals, Concerts, Road Races & Marathons and more.